Al-Qaeda extremists have seized the strategic coastal town of Ahwar in southern Yemen consolidating the group’s control over the region. They also reportedly assassinated a leading pro-government militia commander in a separate attack. The militants set up checkpoints throughout the town and took control over government buildings after clashes with the Popular Resistance Units – a militia group loyal to ousted Yemeni President Abdrabbu Mansour Hadi, Reuters reports citing local residents. 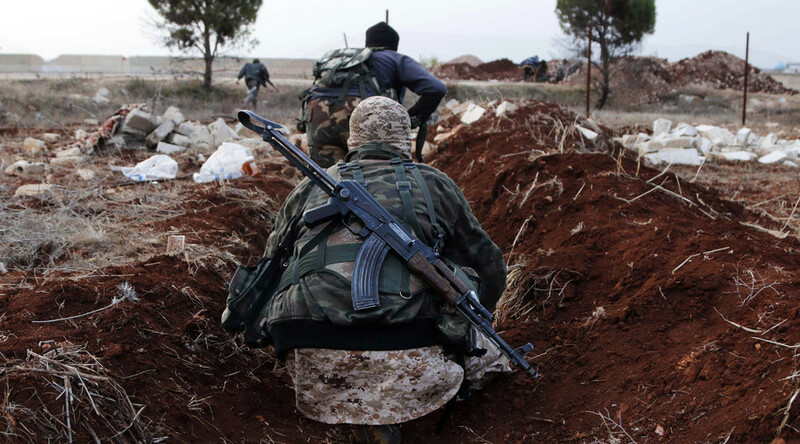 "At dawn this morning Al-Qaeda gunmen clashed with the Popular Resistance forces, killing three of them," one resident told Reuters. "They attacked the sheikh in charge of the area and after he escaped set up street checkpoints and planted their black flag on government buildings," the resident added. Ahwar and the surrounding area has more than 30,000 residents, and is a strategic point linking the major Yemeni port city of Mukalla and Zinjibar, which were both seized by Al-Qaeda in 2015. In another attack on Saturday in Yemen’s second largest city of Aden, two gunmen on a motorbike murdered Sheikh Mazen al-Aqrabi, a senior commander in the Popular Resistance Units. They also killed his bodyguard. Aden, where the Yemeni government is currently based, is also witnessing Al-Qaeda attacks, even in areas close to the presidential palace. On Friday night, local residents reported heavy explosions in Aden’s Mansoura neighborhood as militants deployed hand-held grenade launchers in an unsuccessful attempt to capture the city’s container port. At the same time, the terrorist group has also suffered a number of setbacks losing its leader and several senior commanders in US drone strikes. Al-Qaeda in the Arabian Peninsula, linked to the global terrorist network, has significantly expanded its influence in southern Yemen taking advantage of chaos and insecurity as the civil war in the country rages on. On February 1, militants seized the southern Yemeni town of Azzan, which used to be the area’s major commercial hub and has a population of around 70,000 people, according to Reuters. Yemen has been mired into violence since March 2015, when Shia Houthi rebels backed by some of the country’s military forces ousted Saudi-backed Yemeni President Hadi and forced him to flee the country. 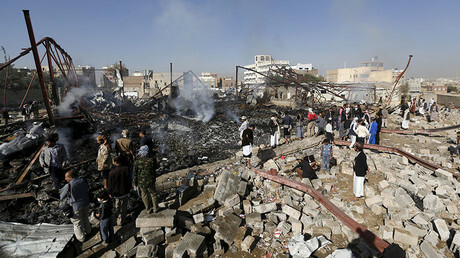 In March 2015, a coalition of the Arab Gulf States led by Saudi Arabia started an aerial military campaign in Yemen aimed against the Houthis in a bid to bring Hadi back to power. The Saudi-led campaign has been receiving much criticism of late over civilian deaths. According to the UN’s recent ‘conservative estimates’, over 6,000 people, including 700 children, have been killed since the escalation of the conflict in March 2015.